Water Inlet/Outlet Size Any1/2 in1/2 in.3.4 in.3/4 in. In most US homes, the heating of water is usually the second largest energy expense, after space heating and cooling. Typical storage tank water heating can account for up to 30% of the average home energy bill. Inconvenient situations such as waiting for the hot water to reach the faucet, finding yourself with no more hot water while having to wait for the tank heat up again, or constantly heating a storage tank of water even when it is not in use all add up to this expense. What if there was an all-around solution that saves you money, time, energy, and resources? 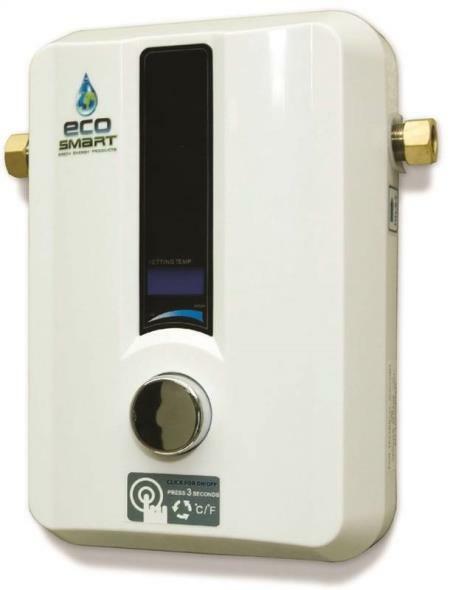 The AtmorTankless Electric Instant Water Heater is the eco-friendly, efficient and convenient solution you have been looking for - delivering to you an endless supply of hot water instantaneously at the point of use only when you need it. 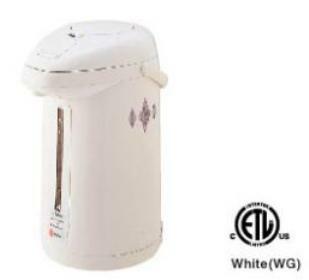 It is suitable for residential and commercial applications, and even in your RV. Rest your mind at ease and enjoy the continuous flow of hot water whenever you want. This compact device can be installed against the wall either under the sink out of sight or near the point of use; where its elegant design blends well into your home environment among other appliances. On Demand Hot Water - Never a wait! 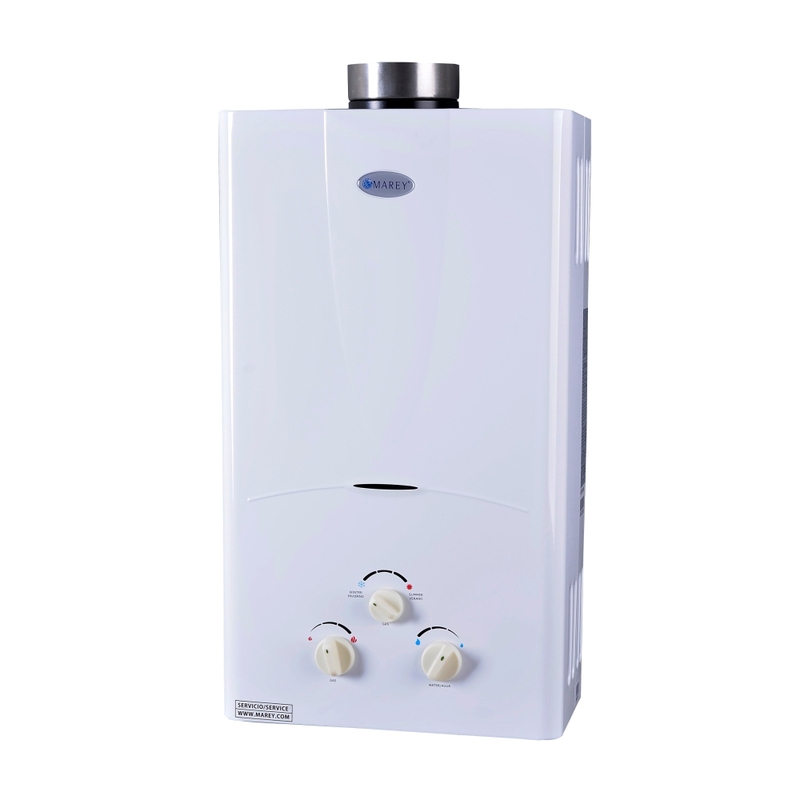 A Constant, continuous flow of hot water only when you need it at the point of use. Quit Wasting Water - eliminate wasting unused (cold) water while you wait for your hot water to finally make it to your faucet. Never Run Out - Atmor'stankless electric instant water heaters provide you with an endless supply of hot water. When you need it, Where you need it: Atmor'stankless electric instant water heaters are designed to be installed at the point of use. Multiple Applications - Suitable for the Home, Office, Commercial properties, Apartments, Public Hand washing facilities, Schools, Service Stations, Airports, Bus/Train Stations, Shopping malls, RV's, Boats, Concession stands, and other point of use applications. Longer Lifespan - The lifespan of a standard 40-gallon electric is typically less than half of a tankless electric instant water heater. Helping the Environment - Atmor'stankless electric instant water heaters are small, compact, and mostly made up of recycled material. Consume less energy, Save Money - Saving money twice: once when you buy the Atmor heater and then in each and every use, by simply heating just the consumed amount of water when you need it. A Space Savor - The Atmor heater is installed either under the sink out of sight or near the point of use and leaves free storage space in your basement or attic. Better Living - No scale and mineral build up due to the fact that the water temperature is not reaching 60° C/140° F and there is no storage of hot water. Helping the Environment -Atmor'stankless electric instant water heaters are small, compact, and mostly made up of recycled material. Applications - Suitable for the Home, Office, Commercial properties, Apartments, Public Hand washing facilities, Schools, Service Stations, Airports, Bus/Train Stations, Shopping malls, RV's, Boats, Concession stands, and other point of use applications. Ideal for whole bathroom setting - from sink to shower and more! 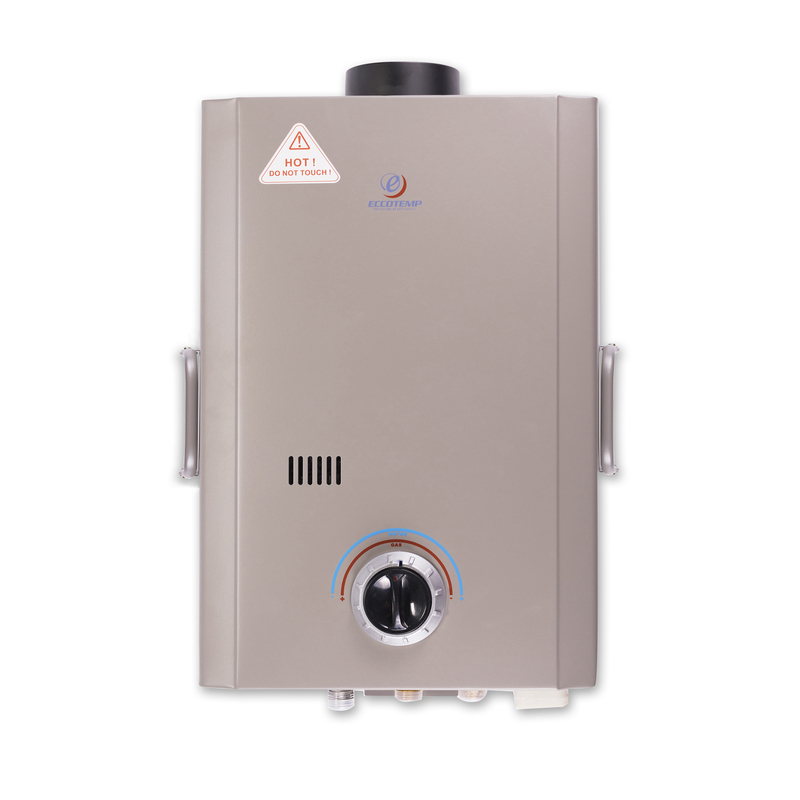 MAREY GA10LP Indoor Propane Gas Tankless Water Heater can provide up to 2.7 Gal. per minute for a perfect shower at 115�F output water temperature. It is also called water heater on demand, because it heats water only when needed, saving energy. It is designed in the USA and it's perfect to supply endless hot water for up to 2 or 3 points of use simultaneously (for a variety of residential hot-water applications). Its compact design saves space and is easy to install: you will only need 2-D cell battery for the ignition and a venting (not included in the box). MAREY has been on the water heating business since 1955, bringing tradition and innovation together. 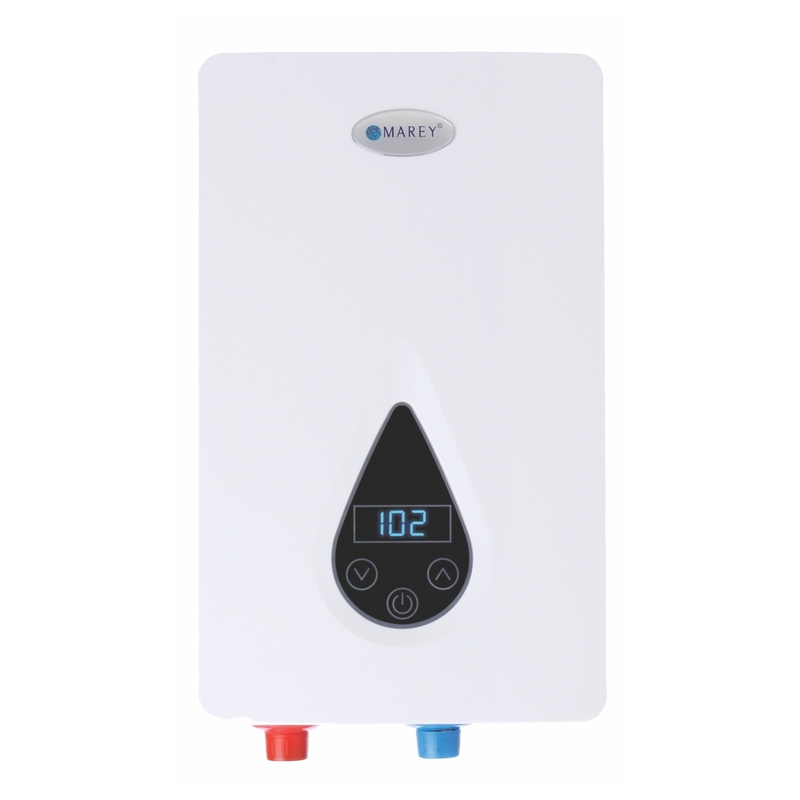 MAREY GA10NG Indoor Natural Gas Tankless Water Heater can provide up to 4.3 Gal. per minute for a perfect shower at 115�F output water temperature. It is also called water heater on demand, because it heats water only when needed, saving energy. It is designed in the USA and it's perfect to supply endless hot water for up to 2 or 3 points of use simultaneously (for a variety of residential hot-water applications). Its compact design saves space and is easy to install: you will only need 2-D cell battery for the ignition and a venting (not included in the box). MAREY has been on the water heating business since 1955, bringing tradition and innovation together. 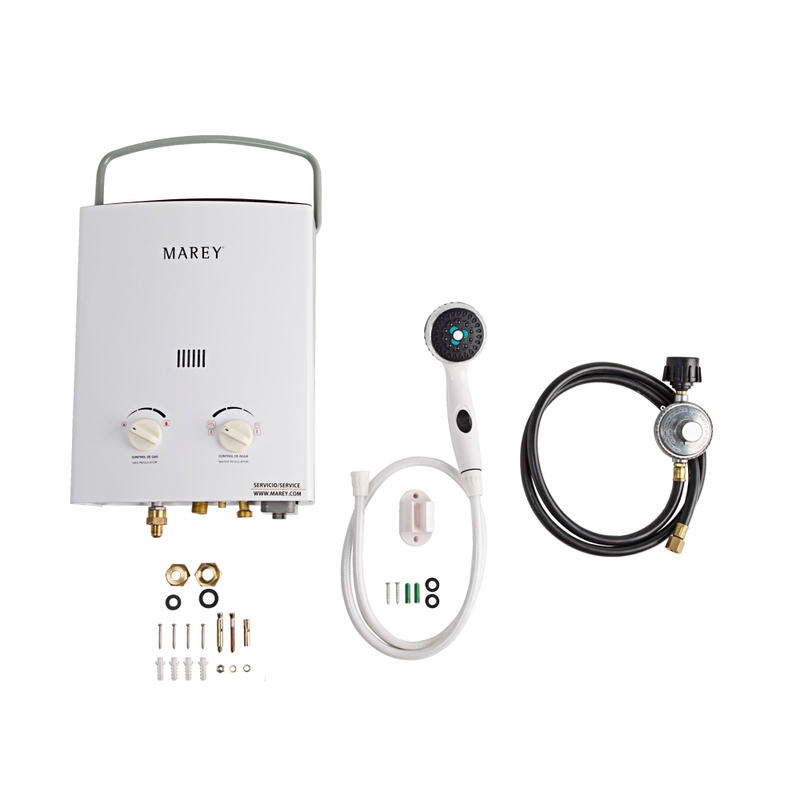 MAREY GA5LP Indoor Propane Gas Tankless Water Heater can provide up to 1.5 Gal. per minute for a perfect shower at 115�F output water temperature. It is also called water heater on demand, because it heats water only when needed, saving energy. It is designed in the USA and it's perfect to supply endless hot water for up to 1 or 2 points of use simultaneously (for a variety of residential hot-water applications). Its compact design saves space and is easy to install: you will only need 2-D cell battery for the ignition and a venting (not included in the box). MAREY has been in the water heating business since 1955, bringing tradition and innovation together. The 220-Volt ECO180 unit by MAREY provides 18kW of power, being the perfect solution for multiple points of use in the Southern areas of the US (up to 3 points of use simultaneously in such locations). This unit provides 31�F increase at 4.4 GPM, allowing you to have multiple points of use running simultaneously in hot climates. 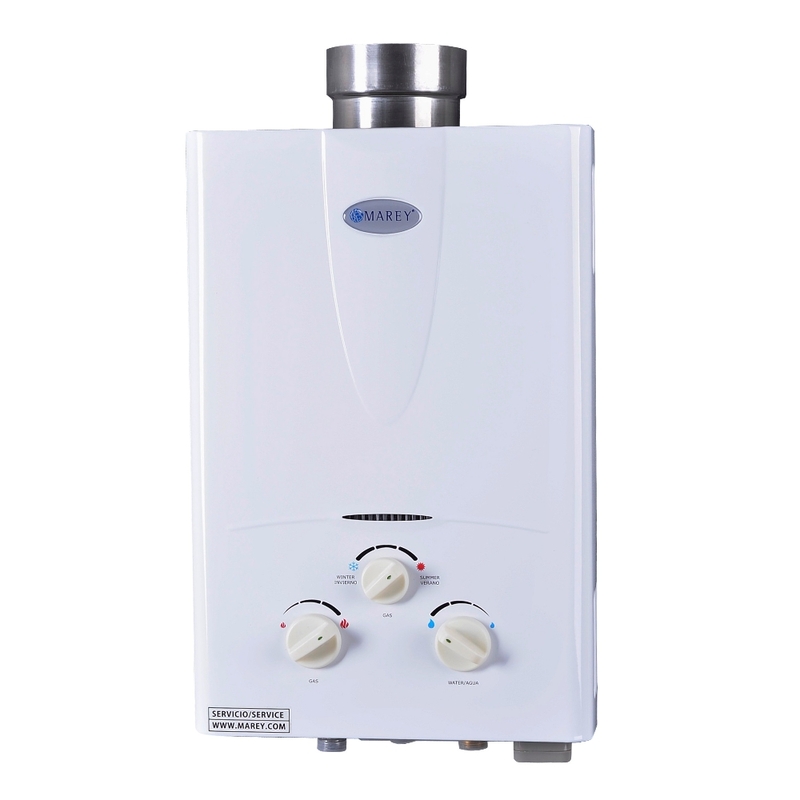 If you live in colder regions, this unit can reach up to 80�F at 1.5 GPM for hot water output at one point of use at time. MAREY�s ECO180 is ETL approved and recommended for the whole US territory. This unit must be installed no more than 40 ft. from the intended point of use and it must be installed by a professional as its electrical requirements demand (2) 50 Amp breakers. The complete ECO line by MAREY is designed with corrosion resistant heating elements which reduce hard water build up from chlorine and calcium. MAREY GA5PORT Outdoor Propane Gas Tankless Water Heater provides up to 1.5 Gal. per minute for a perfect outdoor shower at 115�F output water temperature. It is also called water heater on demand, because it heats water only when needed, saving energy. Its compact design and light weight makes easy to carry anywhere. You will only need 2-D cell battery for the ignition and it is naturally vented outdoors. MAREY has been in the water heating business since 1955, bringing tradition and innovation together. Designed in USA and it includes a gas hose with CSA approved regulator. 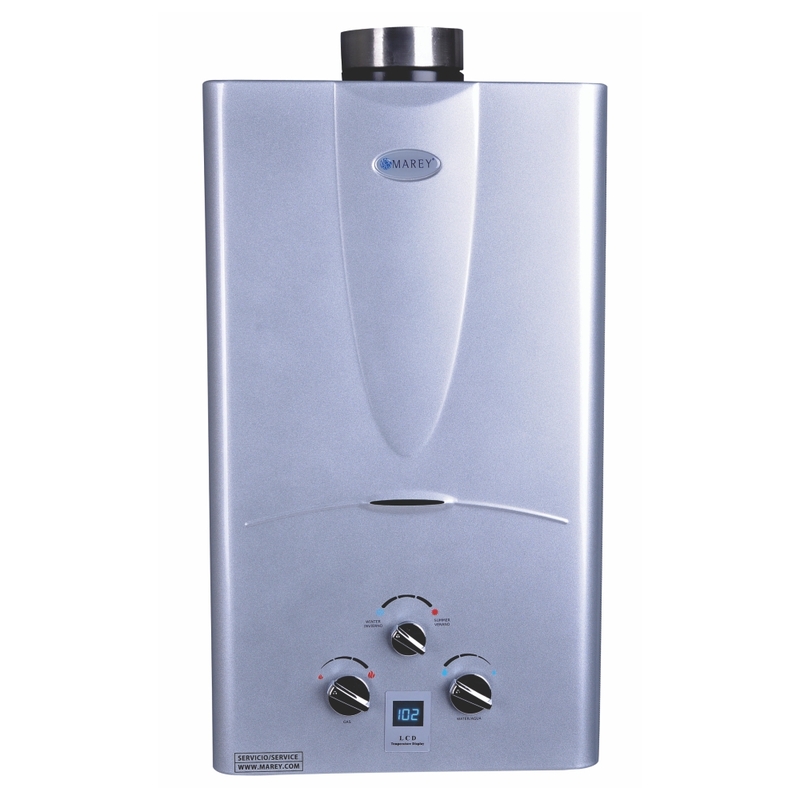 MAREY GA16NGDP Indoor Natural Gas Tankless Water Heater can provide up to 4.3 Gal. per minute for a perfect shower at 115�F output water temperature. You can see your output water temperature trough a digital panel, making easy to adjust the water and gas flow to your desired output temperature It is also called water heater on demand, because it heats water only when needed, saving energy. It is designed in the USA and it's perfect to supply endless hot water for up to 3 or 4 points of use simultaneously (for a variety of residential hot-water applications). Its compact design saves space and is easy to install: you will only need 2-D cell battery for the ignition and a venting (not included in the box). MAREY has been on the water heating business since 1955, bringing tradition and innovation together. This is a small tank with a 23 L capacity 6 gallon that fits under your sink and provides you hot water when open the faucet. 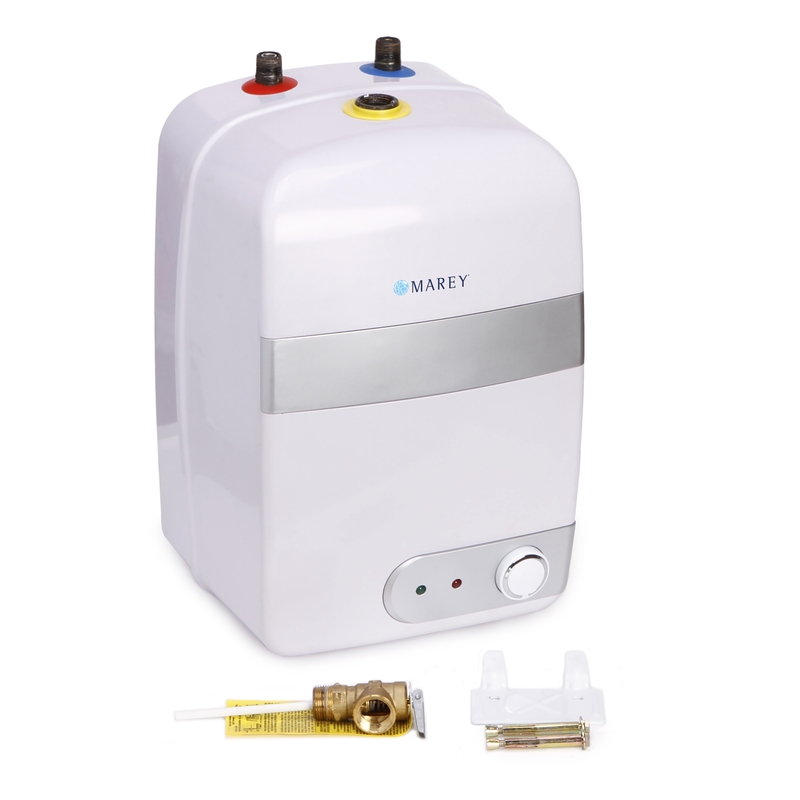 Marey mini tank 23 L is perfect for point of use applications such as buffet, basement wet bar, kitchen stations, RV or on a boat. The TANK23L unit is ETL certified and it has a knob control for temperature settings. It plugs on a 120 Volt outlet and its maximum operating pressure-150 psi. 2LITERS Safety auto shut-off system� �Function:keep-warm,reboil, dechlorinate� �Easy-to-clean non-stick inner container � �Detachable power cord for safety and convenience� Model : PFU G22U Capacity(liters/oz) 2. 4 Qty/Ctn(pcs) 6� Measurement(m3) 0. 117 Electric Rating boil/warm(Watt) 890/44� �. This is a small tank with a 10 L capacity 2.5 Gal. The Mini-Tank Water Heater unit is to be installed near a point of use so customers don�t waste water while they wait for the water to heat. Because of its 2.5 gallon capacity, the TANK 10 L is also great for places of quick use such as under sinks. Save water: avoid running water down the drain waiting for hot water, perfect for the �under the sink� concept in cold places that requires instant hot water for 1 or 2 simultaneous points of use. This unit is ETL certified. 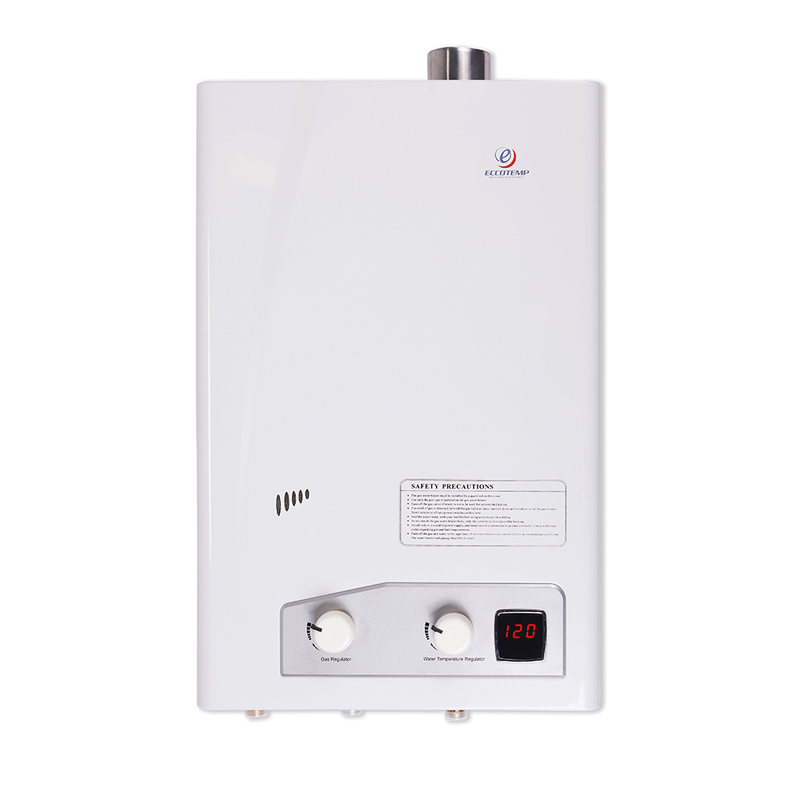 The versatile and easy-to-install 10L Liquid Propane Gas Tankless Water Heater with digital display is the perfect energy efficient solution for your home which will not only help you save money, but also help you save money on your electric bills. This powerful unit only operates on 3V, making it ideal for off-grid applications or anywhere electricity is limited. Copper heat exchanger resists corrosion allowing it to last a lifetime. At a standard faucet flow of 1.5 GPM, the temperature increase is 67 degrees Fahrenheit. The LCD display gives an accurate outlet water temperature which ensures your hot water is always at the exact comfort level which you desire. 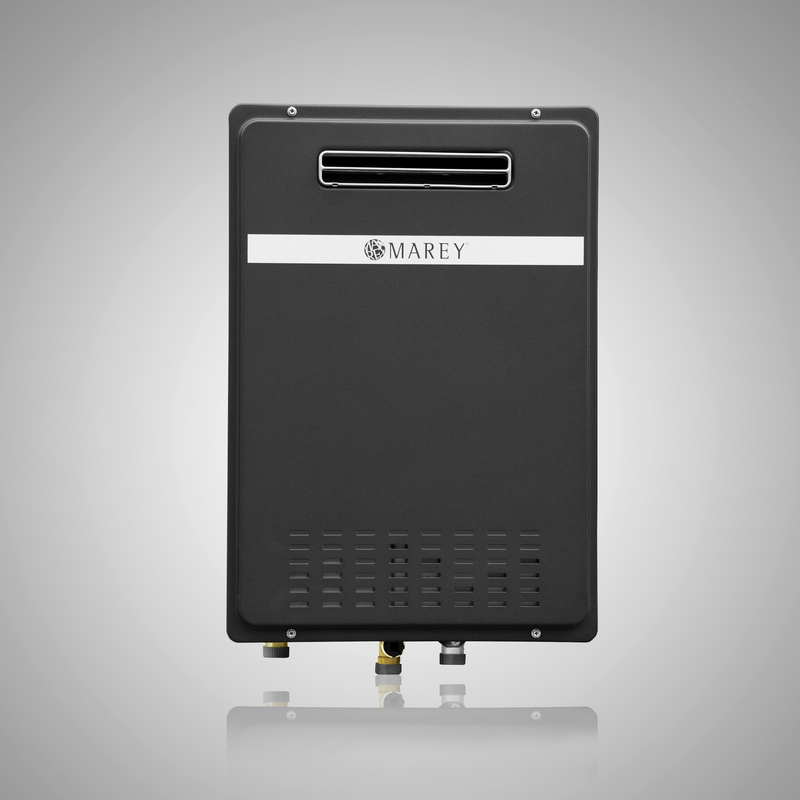 MAREY GA5NG Indoor Natural Gas Tankless Water Heater can provide up to 1.5 Gal. per minute for a perfect shower at 115�F output water temperature. It is also called water heater on demand, because it heats water only when needed, saving energy. It is designed in the USA and perfect to supply endless hot water for up to 1 or 2 points of use simultaneously (for a variety of residential hot-water applications). Its compact design saves space and is easy to install: you will only need 2-D cell battery for the ignition and a venting (not included in the box). MAREY has been on the water heating business since 1955, bringing tradition and innovation together. Marey GA26ONG Natural Gas unit is the perfect solution to heat shower and save energy. No more fuss, no more waiting, just enjoy continous hot water whenever you want. Smart design with outer shell of anti-UV painting also contains anti-frozen protection function gets you free from worry of appliance's breakdown due to cold weather . Easy installation, friendly operation, green energy consumption, counts with an excellent water-proof level: IPX4. 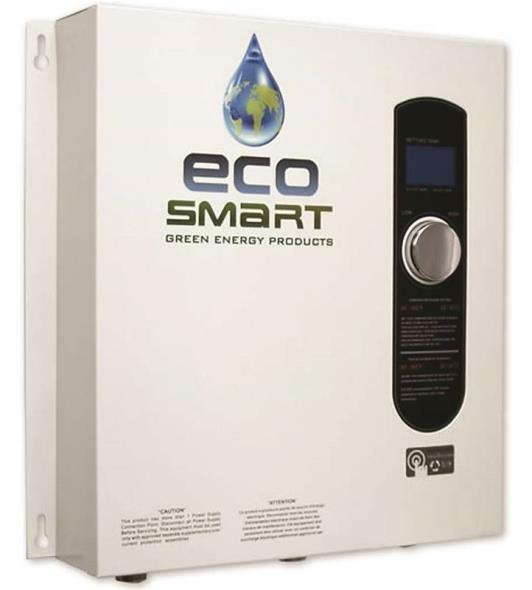 MAREY ECO150 14.6kW unit is ideal for up to two simultaneous points of use, increasing the incoming water temperature up to 41�F at a 2.5 GPM water flow rate. 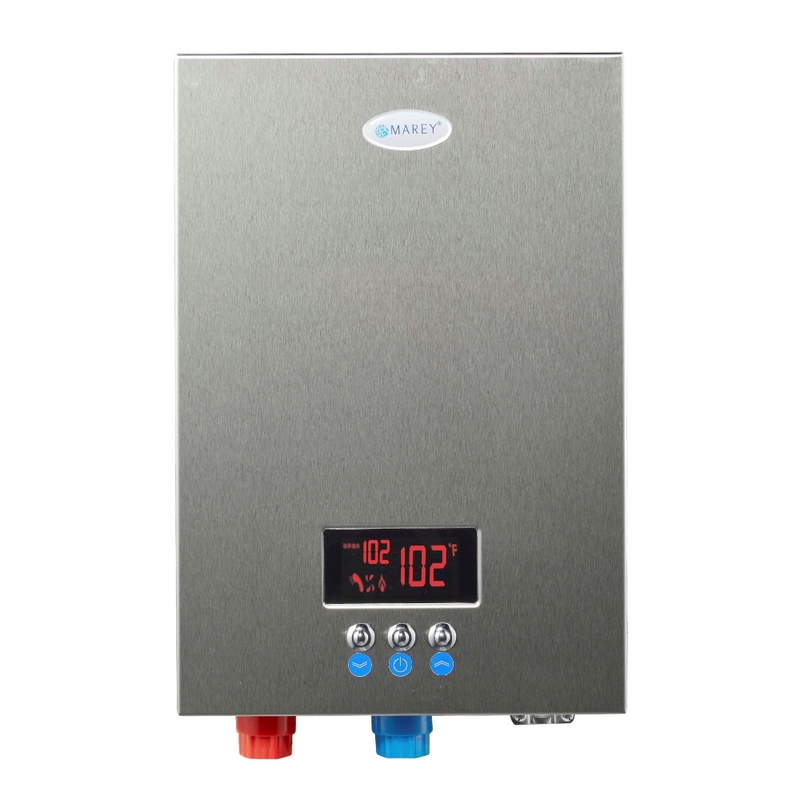 MAREY ECO series tankless water heaters are the only ones in the market to include a German-designed, patented heating element with a stainless steel water channel. This high quality component is corrosion resistant and reduces hard water build up from chlorine and calcium. This unit was designed in the US. 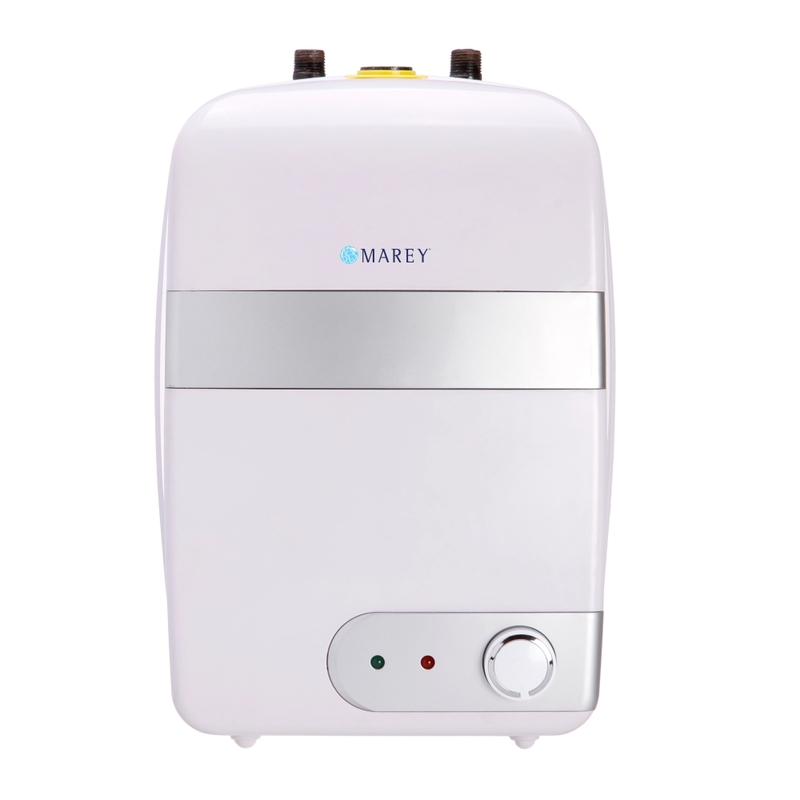 Marey GA30ONG Natural Gas unit is the perfect solution to heat shower and save energy. No more fuss, no more waiting, just enjoy continous hot water whenever you want. Smart design with outer shell of anti-UV painting also contains anti-frozen protection function gets you free from worry of appliance's breakdown due to cold weather . Easy installation, friendly operation, green energy consumption, counts with an excellent water-proof level: IPX4. Whether you�re camping with the family, spending a day at the lake, or lounging around the pool, sometimes all you need is a nice hot shower. Simply attach a garden hose and a 20 lb. propane tank and you are guaranteed to enjoy the luxury of hot water anywhere. 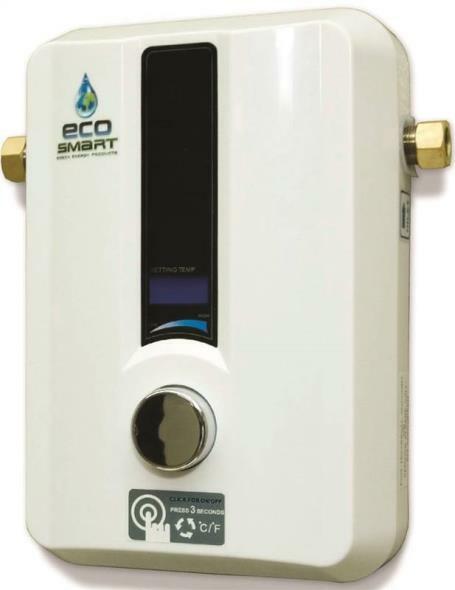 The Eccotemp L7 Portable Propane Tankless Water Heater is lightweight and rated at 1.7 GPM. The L7 also features an upgraded chrome shower head with stainless steel hose. You can wash your car, wash your boat, take a hot shower after a long day at the beach, wash the dogs or the horse and the Eccotemp L7 will make life easier while doing so. You can add the Eccotemp L7 to a pressure washer for an even better cleaning. This model includes an electronic ignition powered by 2 "D" cell batteries making it great for off grid or other areas where electricity is not readily available. The ideal operating range for the Eccotemp L7 is 20-80 PSI. The L7 will offer a 30 to 35 degree temperature rise at 1.7 gallons per minute. The Eccotemp L7 is compatible with 12 volt pumps and works perfectly with our EccoFlo Pump & Strainer. The Eccotemp L7 is capable of reaching temperatures between 50 to 140 degrees Fahrenheit, depending on the temperature of the incoming water. However, an upgraded temperature sensor is available for purchase allowing the Eccotemp L7 to reach temperatures of up to 160 degrees Fahrenheit. 1. Hang the L7 using the mounting bracket on the top/back of the unit. 5. Insert 2 "D" cell batteries and activate the on/off switch on the bottom of the unit. 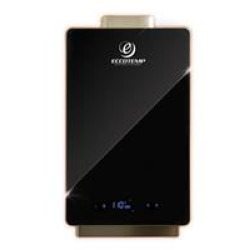 The Eccotemp i12 Natural Gas 3 GPM Tankless Water Heater has a new revolutionary design, making it unlike any other tankless water heater on the market today. The Eccotemp i12-NG is perfect for vacation cabins, cottages, and smaller homes. This model features sleek black tempered glass paneling, fully automatic temperature controls for precision, and a touch screen with an LED temperature display that shows output temperature and GPM flow. The i12-NG is also equipped with child locking technology. 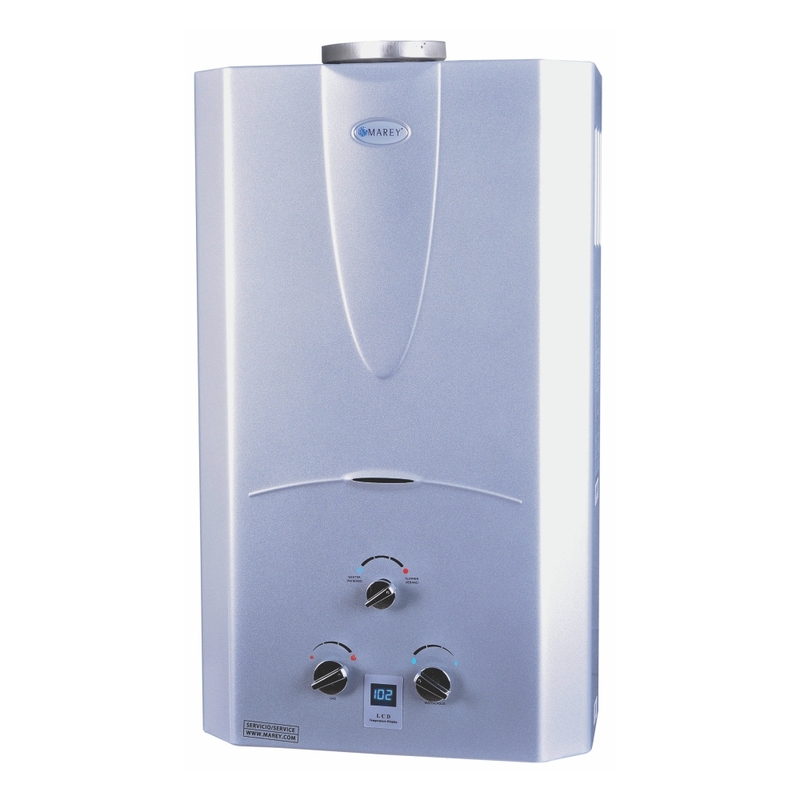 The Eccotemp i12-NG is a natural gas powered, indoor model designed for small to medium hot water production where you need more than one hot water application at the same time. This model also offers a 35-40 degree Fahrenheit temperature rise when operating at a flow rate of 3 GPM and a 77-degree Fahrenheit temperature rise at 1.5 GPM. This bundle comes with a horizontal stainless steel vent kit, ready to install and with its 110-volt UL listed power cord powering the internal exhaust fan and digital display. The i12 only pulls about 2 watts while idle and 1.07 Amps during operation, making it an ideal energy efficient appliance.